The international and interdisciplinary conference “Affective Arrangements in Mental Health Care Settings” attracted scholars, practitioners and other interested audiences to convene and discuss the applicability of Affective Arrangements, a concept developed within the CRC 1171 Affective Societies: Dynamics of Social Coexistence in Mobile Worlds. The event took place from September 24th through September 26th in the Henry Ford Building at Freie Universität Berlin and was hosted by the anthropological-psychiatric CRC-project A02 “Affective Efforts of Migration”. 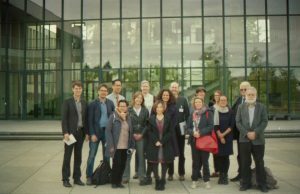 The CRC-members Anita von Poser, Thi Minh Tam Ta, and Eric Hahn invited fifteen speakers from cultural psychiatry, social and psychological anthropology and philosophy to relate their respective research to the theoretical framework set by the philosopher Jan Slaby and his colleagues’ work on Affective Arrangements (2017). 130 visitors from various disciplines followed the opening lecture by Laurence Kirmayer on Monday. The renowned expert on cultural psychiatry and global mental health critically discussed the concept of affective arrangements. The ensuing vibrant discussion paved the way for two days of exciting exchange. The presentations on Tuesday focused on praxeological aspects. The day started with a philosophical outline by Jan Slaby that established a common ground for all participants. He laid out the genealogy and central traits of the concept ‘affective arrangement’ and explicated such arrangements as objects of knowledge. The following talks by the psychiatrists Markus Pawelzik, Thi Minh Tam Ta and Eric Hahn as well as social anthropologist Helene Basu fleshed out this figure of thought for their respective fields of research and practice and identified potential junctures to pre-existing and established approaches in mental health care. Proceeding from the notion of affective arrangements allows to understand affectivity as dynamically unfolding in relation to a specific surrounding context. As the presentations from psychiatry and social anthropology highlighted, this af fectivity, in turn, is dynamically modulated within its surroundings. Douglas Hollan, a figurehead of psychological anthropology, held the keynote after the first day of talks. In his presentation, he emphasized how psychodynamic dimensions of mental health and illness become accessible for therapists and researchers by entwining the methodological approach of person-centered ethnography with the theoretical framework of affective arrangements. Wednesday’s presentations examined affective arrangements from ethnographic perspectives in a wide range of local settings (Vietnam, Germany, Uganda and Japan). 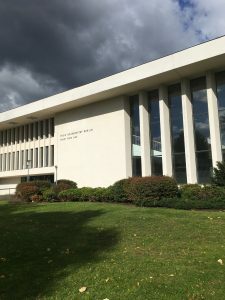 The contributions by Allen Tran, Main-Huong Nguyen, Edda Heyken, Jörg-Christian Lanca, Julia Vorhölter and Daniel White minded not only psychiatric wards as settings, but also the role of private caregivers, life worlds of care-recipients, communal or church-related spaces and modern robotics as factors of mental health care. A common thread of all talks was a focus on affective experiences as intrinsically relational phenomena. As the presenters aptly showed, these experiences, in turn, actively shape social relations. With reference to the last talk by Daniel White about hypermodern Japanese technological care markets, Anita von Poser opened the wrap-up discussion with Douglas Hollan, Laurence Kirmayer, Helene Basu, Thi Minh Tam Ta, Nasima Selim and Jan Slaby. After three days of intriguing presentations, the closing remarks zoomed in on the future of carescapes. Discussant Nasima Selim pointed to the ambivalence of political affect within those future care markets, which the participants discussed vividly. 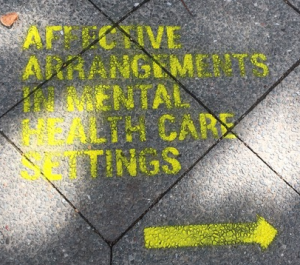 The various perspectives presented throughout the conference from different disciplinary angles made clear that clients, upon entering mental health care settings, always bring along experiences, perceptions, and imaginations of previously experienced affective arrangements. Likewise, they also take these sedimented feelings into affective arrangements of their everyday lives. Pleasant weather and the inviting location also provided a positive framework for vivid informal exchange among the participants of various disciplines between the inspiring talks. These get-togethers provided space to pragmatically discuss individual questions and cases. Thus, the praxeological dimension and applicability of theoretical concepts took center stage across disciplinary boarders and beyond the academic realm. That aspect of the conference was at the heart of the wide-ranging and unanimously positive feedback and generated an additional value to take home. For those who did not participate or want to revisit specific contributions, video-recordings from the conference will soon be accessible on the CRC’s website. To conclude, acknowledging relational affects in their social and spatial situatedness and performativity gives mental health care settings additional leverage to work towards recovery. This approach opens up new pathways for mental health professionals and anthropologists, but also care-givers and patients, to act out and reflect on the dimensions of resonance and dissonance of affective arrangements. Jörg-Christian Lanca arbeitet als Wissenschaftlicher Mitarbeiter im anthropologischen UP2 des Teilprojekts A02 "Affektive Anstrengungen der Migration" zu den Biographien vietnamesischer Migrant_innen, die als Vertragsarbeiter_innen in die DDR kamen.